The family of Henrietta Lacks met with Francis Collins and other representatives of NIH at Johns Hopkins. The discussion resulted in an agreement for data sharing of the complete HeLa genome. For many years the family felt that they had not been consulted, the cells had been taken without permission, and that their privacy rights were not considered. The HeLa cells, taken from cancer cells of Henrietta Lacks have been used in laboratories all around the world and been instrumental in much cellular research. The ethical issues were brought to the public’s awareness by Rebecca Skloot in her book, “The Immortal Life of Henrietta Lacks“. Perhaps one day I’ll break this up into 5 slideshares and 5 articles. But for now, here are the slides from a lecture presented at the Sports Medicine Section of the American Podiatric Medical Associations Annual Scientific Conference. I believe that basic science and research is an important component for advances clinical medicine. This lecture highlights some of that research from barebones systems biology to mechanotransduction. Cell mechanics, structure and biology are where the action is. Most published articles are taken at face value and lauded for the treasured secrets they purport to unveil. Some studies and topics result in a veritable media frenzy that uncritically accepts the study as if they were receiving tablets carved in stone from on high. Merely applying the principles of “evidence based” research is not sufficient to be certain that a study is of value. The threshold is high for a study to count as acceptable and truly high level evidence. In medicine the “gold standard” is considered to be a prospective, blinded, clinical trial. But study design is key and is often wrong. The methods of selecting subjects, choosing the proper variables, and controlling them carefully is often flawed. Very often a “preliminary study” that has barely any subjects, in many cases 8, 12, 14 or 22, is taken to be a revelation of vital and unparalleled information. In fact those studies, as the authors usually note in print, if not on TV, are merely suggestions for future studies to more thoroughly investigate their proposals. No one should ever take a study of 22 people or 14 individuals and believe that the information is no germane to the billions of people who have not been studied. You don’t need to study a billion people to have good data, but statistical methods have a “power” measurement which the low numbers in preliminary studies do not pass muster. There has been a trend lately that has focused on whether shoe suggestions or other changes at the level of the foot can either predict or change injury rates. One study titled “Is Your Shoe Rx Evidence Based” was not a study at all, but a several page editorial. An interesting study showed that those who were forced to wear shoes they didn’t choose but which were chosen for them not on the basis of comfort or past injury history, but on their foot type showed that those who were forced to wear motion control shoes merely because they had flat feet did not fare well. Most runners will try to continue running in shoes that they have successfully run in previously unless media hype, marketing, or peer pressure leads them to try something different. This is like one of Newton’s laws ” A body continues moving at constant speed and direction unless acted upon by an outside force”. some minimalist “gurus” (okay, one) have termed an acceptable heel strike as a “proprioceptive heel strike” – a made up term, but acknowledging the reality that somewhere approaching 90% of the top 10 finishers in last year’s Boston Marathon were either heel or mid-foot strikers. And most important of all, something is right for every one. Not everyone attends the same place of worship and some don’t go at all. Evolutionary biologist Richard Dawkins skips it entirely. Not everyone wears a minimalist shoe, and many don’t wear any at all. Whatever it is that works for you, do it. Make sure you get your exercise, and for us runners, we know that we are all getting the best possible exercise. Swimmers, cyclists, tennis players and those who play ultimate frisbee may view it differently. Now the point of this really isn’t the media and the changes in shoe recommendations which are now in many respects better than before, the point of this discussion is “how do we know we know something can a journal article ‘prove’ it”. So far as we were saying, studies have not been able to tell us how to avoid running injuries. That has been so for the past 30 or more years. Acccording to the literature shoes don’t prevent injury, orthotics don’t prevent injury, and even a graduated running program doesn’t prevent injury. Let’s look at that last statement, theoretically proved by a journal article “a graduated running program does not prevent injury”. That’s shocking. We don’t hear that study regularly quoted, but we did hear it a bit when it first came out a few years ago. The study is called No Effect of a Graded Training Program on the Number of Running-Related Injuries in Novice Runners: A Randomized Controlled Trial. The methodology needs a bit of examination. The study compared two groups training for a 4 mile race: one used a “standard 8 week training program” and the other used a “graded 13 week program” of 10% mileage increases per week. It found there was no difference in injury rate between the two groups. (RRI – running related injury which stopped training for 1 week or more). The injury rates in the control group and study group varied between 20.3% to 20.8%. Does this study match the real world manner in how people run. Most people run and plan to continue to run, and not stop at the end of a study. So the goal for many may be to reach a certain level and then sustain it. This level may be at the 2 to 4 mile mark or it may be 6 to 10. Many of those running a marathon will do that as a rare event and not sustain training runs of 18 to 20 miles as a weekly routine. So 4 miles may be a reasonable distance for most runners to achieve on at least one training run per week. The premise as I see it is what happens when you reach a 4 mile run distance and then sustain that distance weekly for a year. In the case of this study it was not sustained. Those who reached the limit of a 4 mile run after 8 weeks stopped running. Those who reached it in 13 weeks kept running for a total of 62.5% longer in weeks run (5/8 – 5 weeks longer than 8 weeks = 13 weeks). That is an impressively longer number of weeks to run for at this modest distance. It isn’t comparing a 8 week versus a 26 week marathon training program. It is comparing modest distances that one should be able to achieve without great difficulty somewhere within that 8 to 12 week time frame. After reaching that modest distance though, I’d expect the runners to keep running and make the end point the same for both groups. This essay purports that bias is systematic and even worse, it is not random. Random bias would average out, non-random bias is self-sustaining and deluding. “Alarming cracks are starting to penetrate deep into the scientific edifice. They threaten the status of science and its value to society. And they cannot be blamed on the usual suspects — inadequate funding, misconduct, political interference, an illiterate public. Their cause is bias, and the threat they pose goes to the heart of research. One outcome of bias in studies is that the public will realize that the scientists are not living up to their rules on objectivity. They may also realize that the media and journalists are too readily jumping on the hype bandwagon with little critical thought (WMDs in Iraq anyone? Tom Friedman and almost everyone else?). Critical report is, one could say, critical. Examine thoroughly every aspect of each new study. Don’t take anything for granted. Pressure those writing about a topic to understand what they are writing about. Too often a trend starts with a meme that goes out and dominates all only to be found that it wasn’t really a panacea. The statement “Throw away your high tech running shoes and you will never have another running injury” was made on national television about 2 years ago by an un-named friend wasn’t true at the time and still isn’t true. It only works if you begin swimming and give up other sports. The statement made that “run a marathon and you’ll be immune from heart disease for 5 years” was made by the late Dr. Thomas Bassler. It wasn’t true then and isn’t true now. both were catchy phrases and were cited by the media’s hyperbole machine. Bias may guide the questions asked that research is supposed to answer. Bias may guide the methodology and the conclusions. The longing for a good quote and the “new” may lead to a worthless and untrue meme dominating the public spaces for years until it is corrected. Not long ago the media claimed that HMOs were going to save the American health care system. So between bias, studies that don’t live up or properly measure their claims and the media – we all have quite a job to do in determining what is real and what works for us. We are an experiment of one. We sometimes need someone to help interpret the results of the experiment. We previously mentioned the early hominid development of upright, obligatory, habitual bipedal posture mentioning the richer protein and calorie dense food which may have enabled better brain development. We’ll expand on that a bit with a “big think” and take it down a slightly different road. And we can have a bit of fun with a speculative hypothesis. My thought (and hypothesis) is that exercise, viewed as aerobic movement, was the spur to development of a larger brain as is found in later hominids and modern humans. Tool making, enhanced socialization, all other more modern features and the larger cortex itself derive from motion, movement, and the positive effect that “exercise” has on the chemistry of the brain. As we stop and think about what made the brain enlarge we hear those who say that bipedal movement freed up our hands. Now you can walk and juggle or do other tricks. Another theory posits that early hominids could now carry food back to their tribe, make tools, ultimately jewelry and developed other useful talents. Whatever occurred likely was multi-factorial and not a simple single means event. In keeping with Darwinian principles, it is incorrect to say that the environment created changes. We need to look to see what environmental features were taken advantage of by those best prepared to do so. Mutations are random, selection is purposeful, and geared towards the survival of those most fit for the environment. There are a variety of phenotypes present at any time, and those exhibiting desirable and helpful characteristics do survive and pass on those useful genes. Mammalian brains produce BDNF (brain derived neurotrophic factor) which assists in neural plasticity and in the creation of new neural cross links. Humans today moving at high rates of oxygen uptake show that at up to 60% of maximum VO2, several things come into play. The first is an increase in Cerebral Blood Flow (CBF). The CBF increases as does the production of BDNF and other compounds that among other effects stimulate brain growth and development. These other compounds include IGF-1 (insulin growth factor 1), VEGF (vascular endothelial growth factor), and FGF (fibroblast growth factor). Bathing the brain in this enhanced biochemical “miracle grow” mix, likely would have resulted in superior neural growth and response for those who were best able to respond to this physical and neurological environment. This seems to have been a contributing factor in the maximal development of the early hominid brain, and continued down through the hominid line. Those most able to respond to the biochemical results of their activity of motion, movement, and gathering would have become the smartest of the lot and been most likely to survive . They would be better suited for survival and more able to pass on their genes. Bipedal movement in hominids was first to be short in duration. Lasting for only a limited distance and allowed for limited scavenging. Ultimately it resulted in habitual and obligate bipedalism of longer duration, and finally in walking and then, later, running. There have been debates over the energetics of bipedal motion versus brachiation and advantages over older forms of quadripedal locomotion. But with the thought that nothing gets wasted, if the energetics don’t balance perfectly it is probable that the energy itself that may not have been optimally efficient for walking, certainly was put to excellent use in the development, enhancement, and gradual evolution of the hominid and ultimately modern human brain. Bipedal walking allowed the former tree apes a better and more easily sustained motion. This over the course of time, possibly led to persistence hunting, or at the least an expanded range for gathering, foraging, and then much later hunting. And the migration out of Africa was another sustained effort and may have stimulated brain development. 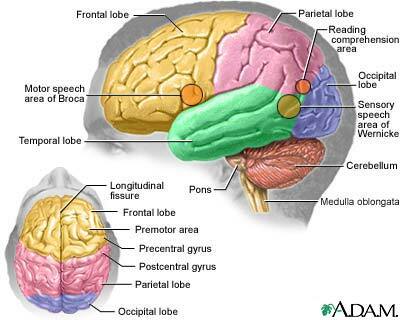 Sensory stimuli, socialization, diet, and many factors went into brain evolution and development. Then, as now, it is likely that the sustained efforts of moving increased focus, attention, and concentration. Creating mental maps of where they had been, and how to return home gave their small brains a work out. And speculating a bit, ultimately mental maps led to many other things and perhaps even primitive games of hide and seek. Later came blind folded chess and google maps. Many facets of evolutionary thought are interesting and valuable. Socialization and network theory, the role of sensory stimulation all are explorable, viable theories and played a major role in evolution. Here we’ve brought into play another facet of hominid evolution not previously described. The energetics and resultant neurochemical (and other changes) as a result of motion, movement and exercise is a contributing and driving force for brain development and evolution. Put this in the context of the fact that everything moves and there is nothing entirely still in the universe, we have another small factor to consider about our world and how we and it have evolved. So it seems we weren’t just born to walk or run. We were born to think, develop and evolve. In fact, we’ve evolved to evolve. And evolution continues today. If your thoughts stop with barefoot running, and you think our evolution stopped then, you’ve got a lot more thinking and catching up to do. Exercise and movement are good for what ails you, and assisted in the development of today’s modern human brain.